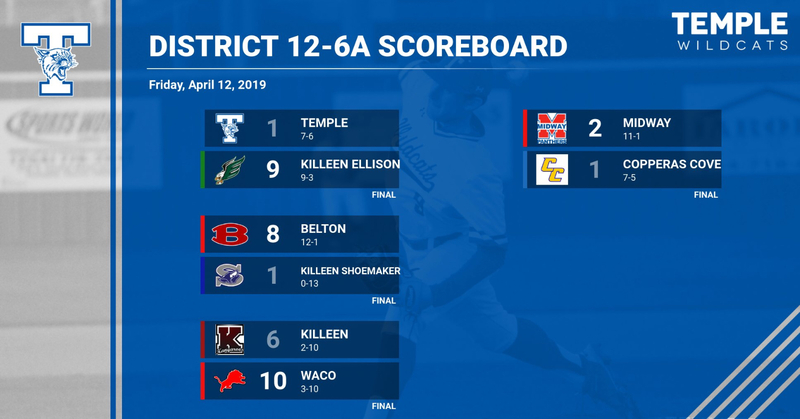 KILLEEN – The Temple baseball team struggled to generate offense on Friday night as they fell to Killeen Ellison by a score of 9-1 in District 12-6A action. 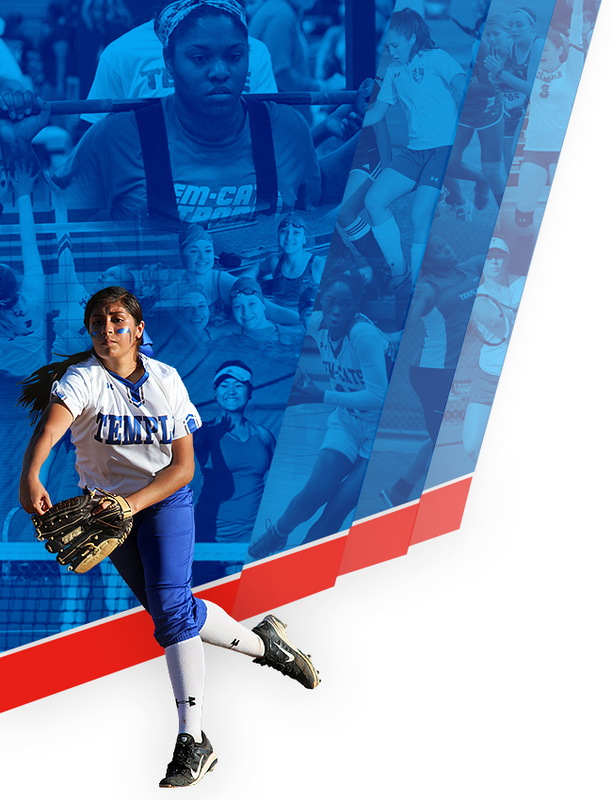 After a scoreless three innings of play to start the contest, Temple struck first with an RBI single from Riley McNeil to give Temple a 1-0 lead in the fourth. 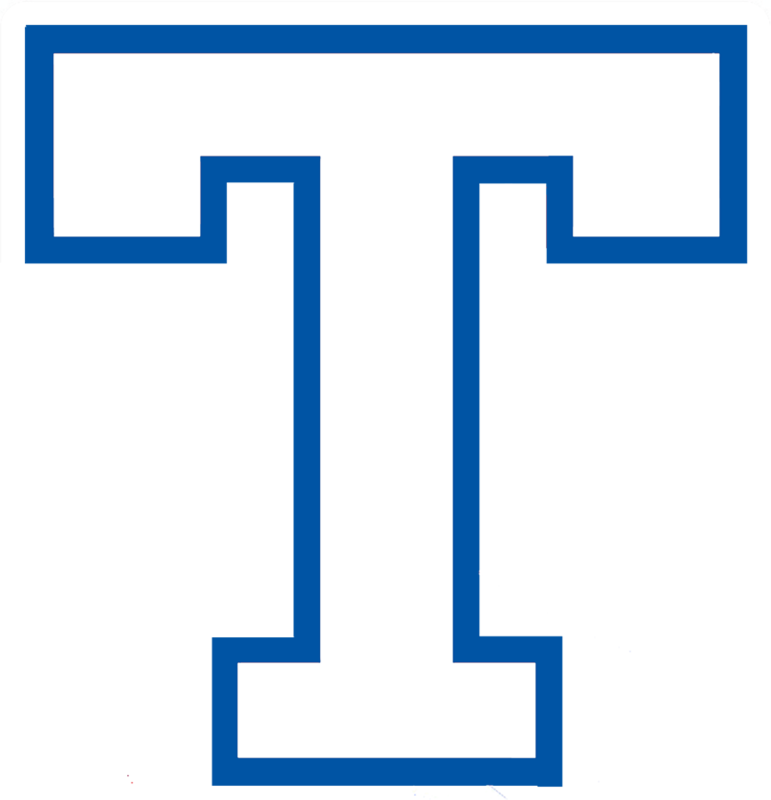 However, Ellison responded with five runs in the bottom of the fourth inning to take a 5-1 lead which they would not relinquish. 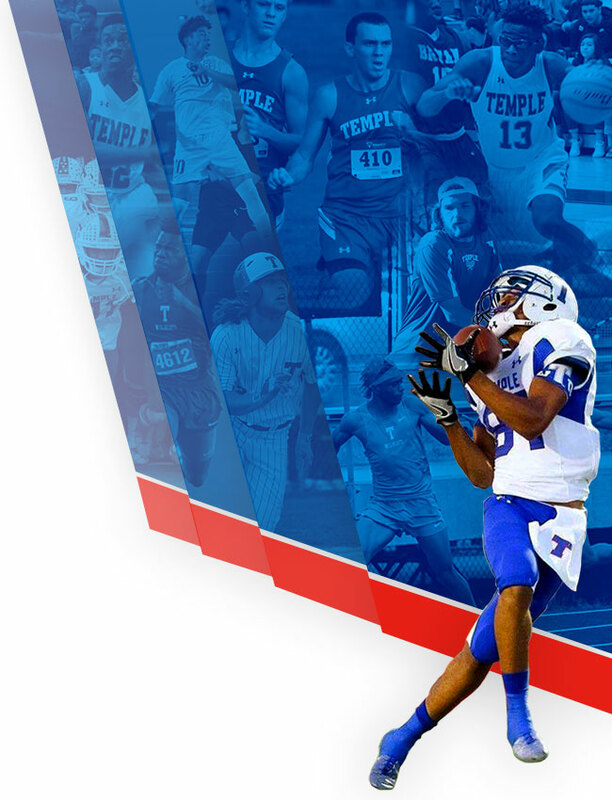 McNeil’s RBI single would end being the lone hit for Temple on the night. 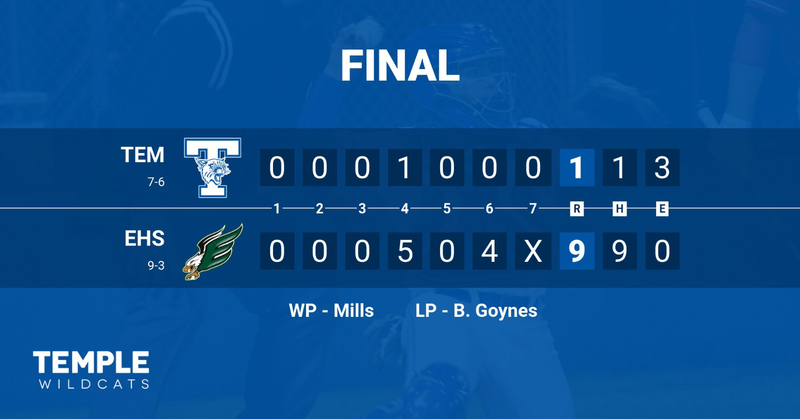 Brandon Goynes took the loss for Temple on the mound. Goynes went 4.0 innings, giving up 5 earned runs on 6 hits. Vance Willis pitched 2.0 innings and gave up 4 runs on three hits. 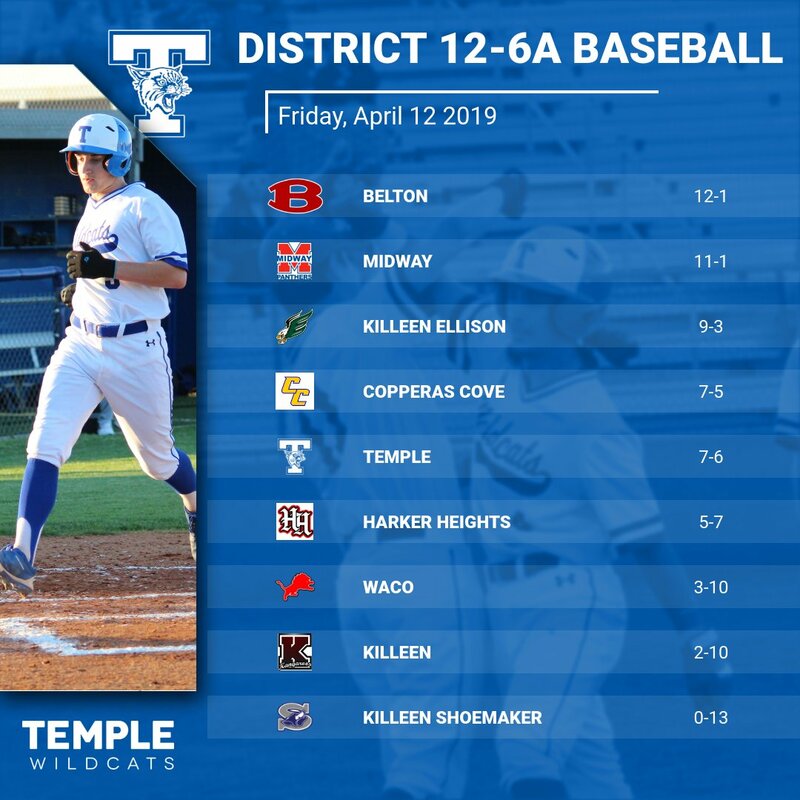 Temple fell to 7-6 on the season and will host Copperas Cove on Tuesday.